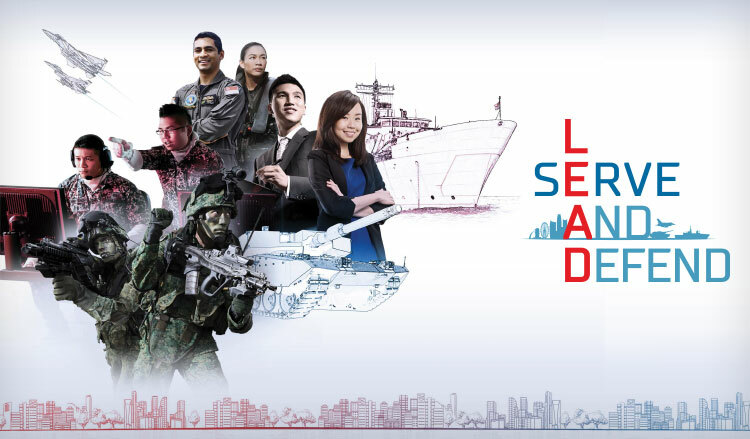 MINDEF Scholarship Centre (MSC) was established on 3 Nov 1999 as a one-stop information and liaison centre to assist prospective scholars interested in MINDEF/SAF Scholarships. This includes hosting information sharing events like Tea Sessions, Career Talks and various internship/attachment programmes. MSC also provides professional advice and administrative support to existing scholars. The SAF Scholarship (formerly known as SAF Overseas Scholarship – SAFOS) is for those who see the honour in service and duty – the noble purpose of being there where it matters most. Second in prestige only to the President’s Scholarship, it provides excellent opportunities for personal and professional growth, as well as grooming for the highest level of command and management. The SAF Scholarship offers you opportunities to be involved in operations that directly contribute to the peace and security of Singapore. Through a series of command and staff appointments, you will hone your skills as a leader, manager, planner and strategist. Hear from Captain (CPT) Geeva, as he shares his journey with the Singapore Army as one of The SAF Scholarship recipients. The PSC Scholarship (Engineering) – Defence and Security is awarded to those intent on pursuing a fulfilling engineering career in the Public Service to move our nation forward in technological innovation. The scholarship offers you a specialised engineering career proposition from the start with opportunities for deployment in MINDEF/SAF agencies whose core business lies in engineering. As specialised engineers, you will be at the forefront of cutting-edge technology, and key to developing the deep technical capabilities vital to meet future defence and security challenges. The SAF Merit Scholarship equips you with a world-class education and exposes you to training that will develop your operational know-how and expertise relevant to the organisation. You will be trained to meet the challenges of the new security environment, to be a leader of leaders to lead and guide your men to fulfil the mission. Hear from Captain (CPT) Michelle Teo on her roles as a Republic of Air Force (RSAF) pilot. The SAF Engineering Scholarship is for aspiring engineers, who are ready to serve the nation and be groomed as leaders with specific deep specialisation in engineering. The scholarship equips you with a world-class education and training to spearhead in-depth engineering studies, as well as design and operationalise high-end technological capabilities for the SAF. As military engineers, you will assume a range of challenging appointments in MINDEF/SAF. There are also opportunities to be rotated to the Defence Technology Community to augment the build-up of engineering expertise in the Defence-technology ecosystem. Hear from Military Expert (ME) 4 Tan Xun Yong on his journey as a military engineer in the Republic of Singapore Navy (RSN). The Defence Merit Scholarship is a prestigious scholarship offered by MINDEF for civilian appointments in the organisation. Awarded to a select few each year, the Defence Merit Scholarship paves the way to a world-class education at some of the world's most eminent universities. Upon graduation, Defence Merit Scholars enjoy a highly rewarding and challenging career as a Defence Executive Officer (DXO) within MINDEF. As a DXO, you will play a strategic role in the defence and security of Singapore. You will be at the forefront of the Ministry to shape defence policies, manage our defence budget as well as administration and management of our human resource pool. This essential task has been undertaken by trustworthy individuals such as Lydia Lau (Senior Manager in National Service Policy Department). Search BrightSparks for the range of MINDEF/SAF scholarships and more! In this feature, we speak to past scholar Wu Qiuhan to understand how Enterprise Singapore grooms confident leaders, offers them opportunities to work with local businesses and take them to new heights in the current economic climate.